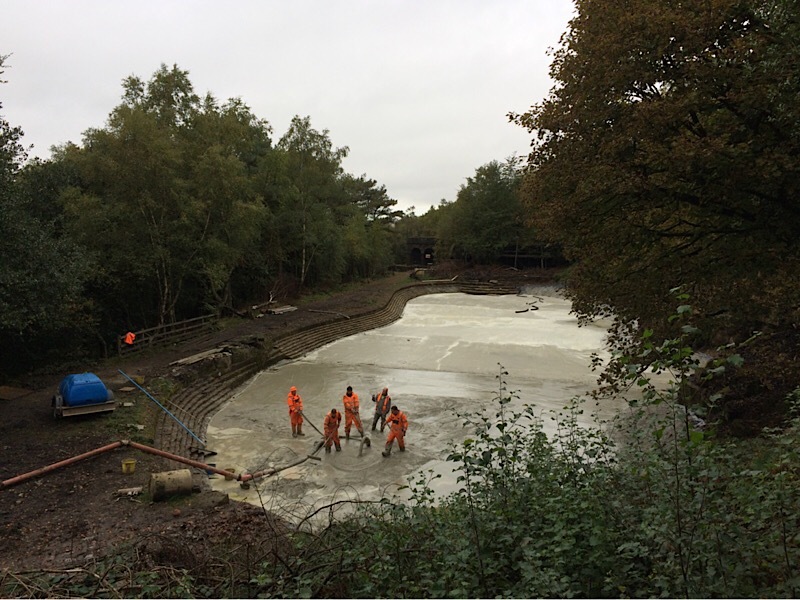 Some great images here showing how far we have come from when we started the works at Rivington Terraced Gardens. 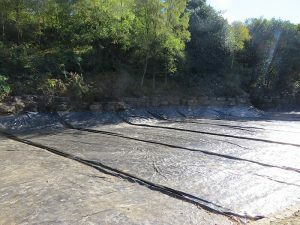 The process involved de-silting with machines , sand blinding, bentonite liner installation and jointing and concrete overlay. 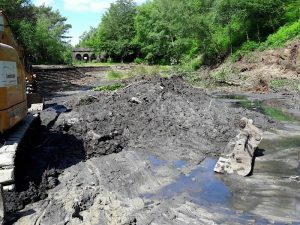 Approximately 400 Tonnes of silt was removed.